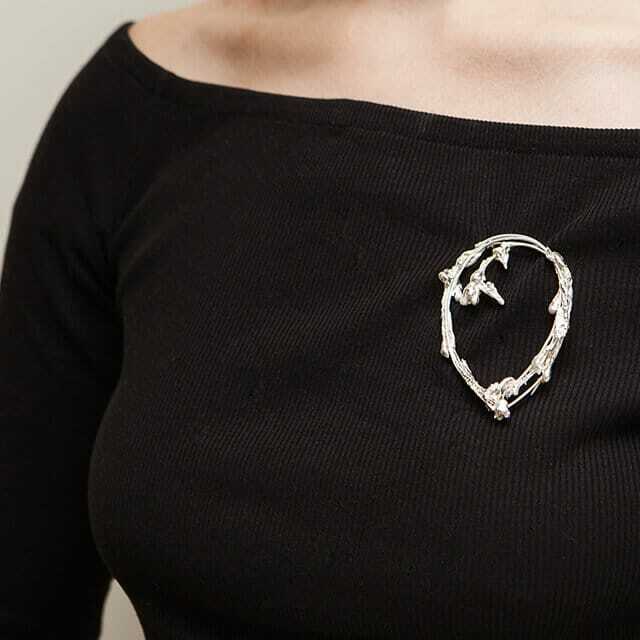 A one-of-a-kind brooch made by dripping by hand molten silver over a triple-strand frame of silver wire. 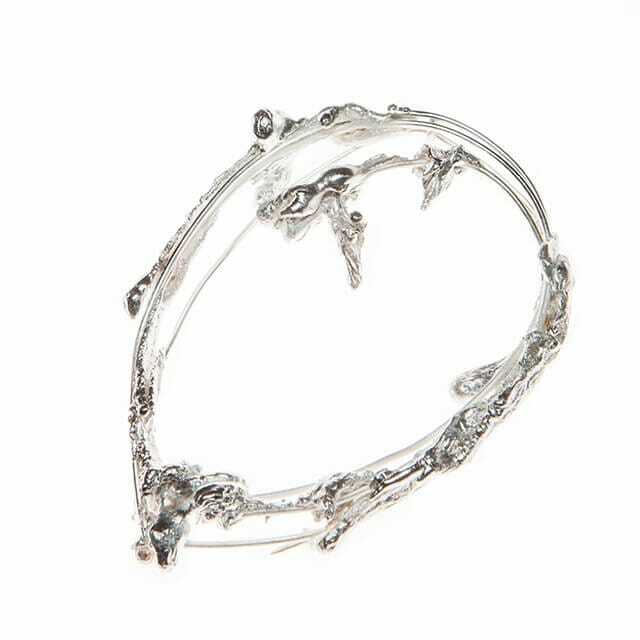 This delicate yet striking piece looks stunning against a dark top or jacket. For those who want something truly unique. Making jewellery allows me to explore and express my love and curiosity for materials, natural processes, textures and forms in a tactile and sensual way. I have always been fascinated by the natural world and studied physics and astronomy; including spending 10 years in astronomical research working in the UK, Australia and the US; and landscape architecture. I currently work as an editor on the science journal Nature as well as writing books. My current collection pays homage to American minimalist and land artist Robert Smithson. 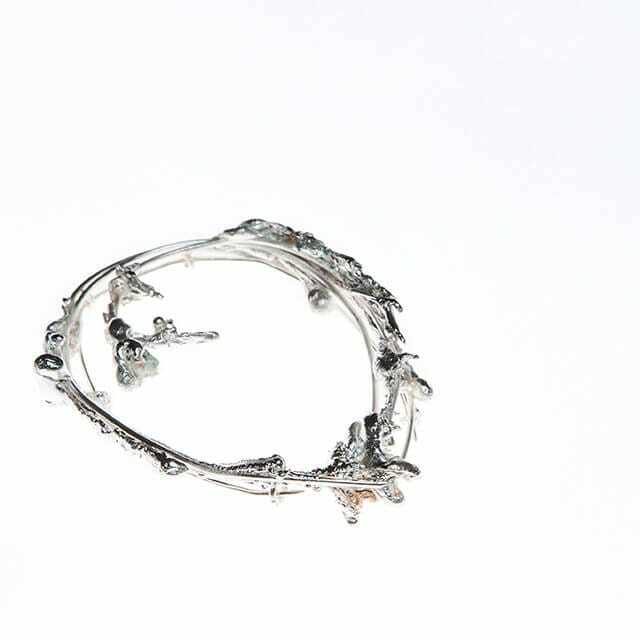 Drawing on his landscape-scale sculptures of poured asphalt and mirrors, geology and crystals, it explores the technique of pouring molten silver onto wire rings, frames and stones. The pieces exploit serendipity and chaos. Most are one-offs never to be repeated. They reveal silver’s fluid character.